I dedicate this review to my dear Mum. The wisest owl of all. This could be one of the hardest reviews I’m ever likely to write, and the reason is nothing to do with this perfect little book. 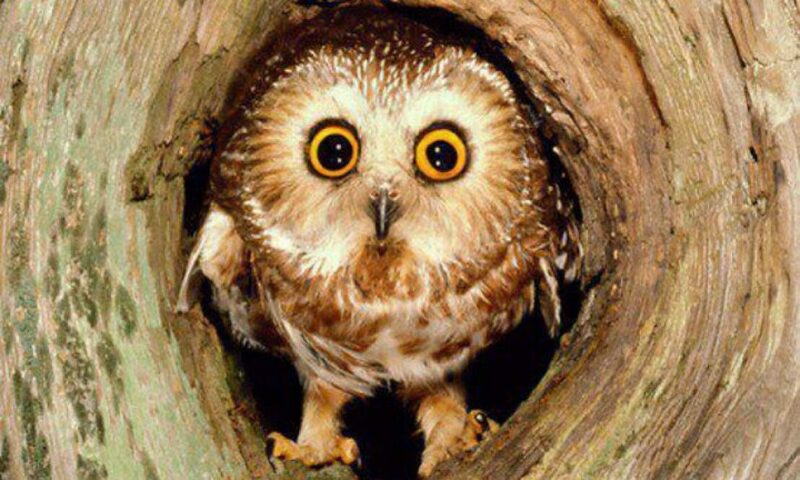 When I was growing up, I was surrounded by all things owlish. Pictures on the wall, ornaments here and there, owl clocks, owl crockery. You name it, we had the owlish version! My Mum was an owl fanatic! And, suffice to say, it rubbed off on me big time. For my birthday, one of my other favourite humans ever, my partner, bought me this little gem, and I was delighted. Little did I know, but this beautifully written book conjured up a whole host of feelings that I did not expect. At just 96 pages long, John Lewis-Stempel has produced something that I shall treasure forever. It doesn’t just contain lots of facts and figures about this truly wonderful bird, he also includes the historical side of all things owl, the myths and legends of days gone by, and, the best bit of all? Poetry. Owl Poetry. Near the beginning the author included the poem by Edward Lear, The Owl and the Pussycat. This poem helped me learn to read! This poem was read again and again at bedtime. With my Mum. Eventually, I’d learnt how to read it perfectly, write it perfectly and recite it faultlessly. And unbeknownst to me, it was in this book. I started to read it, and couldn’t see the words for my tears. Once I’d gathered up my senses and tissues, I read on, discovering the weird and wonderfully fascinating secret lives of a creature that has been with me all my life. The Green Unknown is about walking, without a map or a plan, across the Khasi Hills in the Northeast Indian state of Meghalaya—a place of jungle canyons and thousand-foot waterfalls, where it rains more than any other inhabited place in the world, where each village has its own dialect or even its own language, and where the people grow living bridges from the roots of trees. The book is an attempt to express what it’s like trying to explore, mile by mile, village by village, valley by valley, a place that’s beautiful, complex, and fascinating, but most of all, unique. Firstly, thank you to the author, Patrick Rogers, for sending me a copy of his book to review. I read this in two sittings, although there was a gap of a couple of weeks between starting and finishing due to that thing called Christmas. This is an interesting and entertaining read about the authors travels to far flung corners of the earth. I enjoy TV documentaries of this kind, so I knew I’d enjoy reading about places that possibly many people know little or nothing about. It is written with humour and a light-hearted approach so it was easy to follow and having the break at 43% for a few weeks didn’t have a negative impact on the flow. What I enjoyed the most was hearing about the natural world Northeast India has, the indigenous people that have settled there, and the fact that they have mobile phones! What?!! Does that mean that the eye-sores that are phone masts are popping up in the most heavenly of places? I know folk need technology wherever they are these days, but this really surprised me! I was fascinated by the living bridges made from the roots of trees, and the sheer beauty of this place. India is on my bucket list of countries to visit, and Rogers has introduced me to places I definitely won’t be brave enough to explore. Off the beaten track is an understatement, and without a map or plan, he certainly is a traveller with guts. I did struggle to pronounce many of the place names, and even referred to a detailed map on Google to get a sense of where he actually was. Overall, a very interesting and educational account with stunning photographs accompanying the journey throughout. This makes Bill Bryson’s ‘A Walk in the Woods’ sound like a Walk in the Park! Patrick has a blog all about his adventures which accompanies his book, you can go take a look here. 4 solid stars even though I have (temporarily) DNF’d @ 39%. Inheritors of the Earth will be moved to my ‘started but pick up again later’ shelf as I have the upmost respect for the unique way our ever-changing world is portrayed by ecologist, Chris D Thomas. ‘Wherever in the world you are reading this book, you would once have been surrounded by an impressive array of staggeringly large animals’. Never have I read a statement so thought-provoking in a non-fiction book. It made me look out my window, imagining what I would see if I turned the clock back a few million years. I’m always tuning in to TV documentaries about nature and this fantastic world we are all honoured to be part of. Inheritors of the Earth caught my eye on NetGalley. I thought that reading a documentary style book would feed my brain and satisfy my yearning to try and understand planet earth just that little bit more. I was fascinated by the fact that ‘nature is fighting back’. Mankind has altered our planet over millions of years, but instead of exploring the negative impact, the author instead gives an account of how the flora and fauna has learned to adapt and thrive in this forever changing world. Like a lot of non-fics that are bursting with facts, figures and fantastic photography, this one doesn’t disappoint. I will say, however, that e-ARC’s of this kind are not at their best, this would undoubtedly be a five star hardback. In the format of an e-book, which lacks flow (no fault of the author/editor) it is heavy-going for me. At just under half way, I was feeling bogged down with information overload. Let me just say, this is absolutely without a doubt a truly brilliant and unique account of Earths past, present and future which deserves all the stars. Unfortunately, I am unable to finish it because my brain simply cannot take it! I got as far as 39%, and I began to forget everything I’d read, apart from the wonderful detailed account of the hardy Sparrow. It’s all my own doing, the book is not to blame. As a ‘coffee-table’ book, this is perfection. If I owned this in all its hardback glory, over a (long!) period of time, I would read it all. Bite-sizing this would satisfy me more than a cover-to-cover approach. I will be keeping this on my kindle, and will read occasionally, it deserves to be savoured because there is stacks to learn, just not all in one go. I would highly recommend it to students that are studying environmental subjects, and those with a real in-depth passion for conservation. It’s not a light read, little ol’ me just hasn’t got space on my brain hard drive to store it all. I’d need much more RAM to be able to process it all satisfactorily. I’d like to thank the author, Chris D Thomas and the publisher, Perseus Books for the opportunity to read this, via NetGalley in exchange for an honest review. I’m not giving up on it, what I did read was faultless, I shall continue at some point in the future. The Appalachian Trail is the longest, continuous footpath in the world. It stretches along the east coast of the United States from Georgia to Maine. At 44, Bill Bryson and his friend, Stephen Katz decide to set off on this hike. What lies ahead is almost 2200 miles of mountain wilderness, filled with bears, bobcats and occasionally, other trekkers. In A Walk in the Woods, Bryson invites the reader to accompany him and Katz into a breath-taking adventure. I took him up on his offer from the comfort of my sofa. And it was quite a journey! “When I awoke it was daylight. The inside of my tent was coated in a curious, flaky rime, which I realized after a moment, was all my night-time snores, condensed and frozen and pasted to the fabric, as if into a scrapbook of respiratory memories”. I chose to read this for two reasons, firstly, I recently watched the movie starring Robert Redford and Nick Nolte and I liked it so much, I watched it twice. And secondly, I’m a trekker too, and I knew I’d enjoy the story. Ok, I say I’m a trekker, but compared to this, I’m just a walker or rambler, covering, at best, 10 miles on an occasional Sunday. My partner and I often pack up a rucksack with a picnic, flask and binoculars and go off for some fresh air in forests or along the coast. Clearly, the Appalachian Trail is not for beginners like me! Bills writing style is chatty, very English and incredibly funny. He portrays his relationship with Katz in such a way that you really get a feel of the humour, the understandable tension and the touching comradery between them. I lost count how many times this book gave me hearty belly-laughs. I loved the characters that Bill and Katz bumped into on their travels. Other (more experienced) trekkers, who couldn’t wait to question them about their poor choice of packs and their inadequate tents. Not to mention how obviously unfit and unprepared they actually were. I read this with a continuous smile, an occasional sympathetic aww, and with a brain being fed with mind-blowing facts and figures about this stunning part of the world. After reading this, it actually dawned on me just how ignorant about America I was. I used to instantly visualise the USA as a jam-packed, concrete jungle, squeezed to the max with people and traffic and stress. And obviously, in some places this is very true. But vast areas of the United States are beautiful, and the Appalachian Trail is just one of them. What I found difficult was trying to see the real Bryson and Katz in my minds eye. I googled pictures of both of them just to try to remove Redford and Nolte from my vision. But I struggled to see beyond the movie. I’m not complaining, because had I of not watched the film, I would never of read the book, so its a small gripe. The movie covered about 65% of the book, the rest being various chapters on American history and how the Appalachian Trail came about. Rarely does it happen, but I liked the movie just slightly more than the book. As a lover of woodland walks, this book has taught me one very valuable lesson. Always keep to the main path. No matter how tempting a shortcut may seem, it can be dangerous out there, and these places truly belong to the animals. Bill Bryson is passionate about conservation, and conveys a very clear message; start loving this planet more and stop destroying it. It’s very unsettling to think that perhaps my great-grand children, or even just my grand-children may not see the things that I see now on my weekly treks. I give A Walk in the Woods 4 stars out of 5. And I’ve added lots of other Bill Bryson books to my TBR because he’s a nature lover like myself. He’s also a really funny and likeable guy, who writes with an honesty and passion that I can connect with.